To hear Attorney General Jeff Sessions talk, you'd think violent crime in the U.S. was spiraling out of control. But as journalist and past Criminal Injustice guest Brenton Mock writes, the data paint a very different picture. An important rule of legal ethics is the obligation to keep client information confidential. Lawyers say that rule is fundamental to the attorney-client relationship, so clients can speak freely. But what happens when following that rule keep someone else – an innocent person – in prison? That’s what happened to Alton Logan, who sat in prison in Illinois for 26 years, even though two lawyers who represented the real killer knew the truth all along. Criminal prosecutors can protect the public and build up their communities, but they can also make the system more punitive and send many more people to prison and jail. Yet for all of their importance, many prosecutors, once elected, serve for multiple terms and often run unopposed. Whitney Tymas is a consultant for the Safety & Justice political action committee. Since 2015, the PAC has helped swing most of the 16 liberal candidates it's backed in local elections nationwide. What inspired a career attorney to dive into local politics in places she'd never even visited? Older, more traditional prosecutorial professional organizations, such as the National District Attorneys Association, have fought against any changes. But one group, the Association of Prosecuting Attorneys, has taken a more open approach, arguing for the importance of prosecutorial independence and transparency. David LaBahn is the CEO and president for the Association of Prosecuting Attorneys, a national association representing elected and appointed prosecutors. You can find the APA's Use of Force Project report here. She's the lead author of "The Effect of Gun Violence on Local Economies." The Chicago Police Department has a big problem with misconduct against civilians – both now and in the past. How much does this cost the city financially? What do the patterns of misconduct tell us? And why has the city done almost nothing to address those patterns? With his colleagues at the Chicago Reporter, journalist Jonah Newman created a database with over 900 misconduct payouts over six years. He says not only can police misconduct can do a lot of damage -- inciting fear or upsetting the public trust that officers need to do their jobs, especially when their actions affect primarily people of color -- but also costs taxpayers millions. Check out their reporting project here. bonus: where are they now? Updates on a pair of stories we've covered in the last year: Lawyers Behaving Badly alumnus Roy Moore becomes Alabama's GOP nominee for U.S. Senate, and a D.C. court puts new limits on police use of "Stingray" surveillance technology re: Episode 48). Police killings of unarmed black men, stop-and-frisk policies and racially disproportionate prison populations have all been called symptoms of a broken criminal justice system. Georgetown law professor and author Paul Butler says no – this is exactly the way the system was designed to work. His new book, "Chokehold: Policing Black Men" is out now. Bonus: Why So Few Jury Trials for Police Defendants? State Corrections Secretary John Wetzel explains the unique challenges of providing for Pennsylvania's inmate population, and what his team does to get them ready for life on the outside. Wetzel is the Secretary of Corrections for the Commonwealth of Pennsylvania. He came to the job in 2010 after decades as a corrections officer, counselor, trainer, and warden. Killings of unarmed black people by police have worsened historically troubled police-community relations. Until recently, little research existed that might help explain this or improve the situation. Social psychologists have created work that helps us understand why things go wrong in policing, what role race plays, and how we can do better. 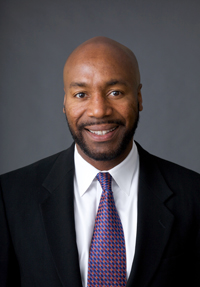 Dr. Phillip Atiba Goff is the Thomas Professor of Policing Equity at John Jay College of Criminal Justice and the president and co-founder of the Center for Policing Equity. He's one of the nation’s leading researchers in the field. Keep up with his work on the National Justice Database here. After riots erupted Ferguson in 2014, investigations revealed that the entire criminal justice system in St. Louis County – not just the police department – levied massive amounts of fines and fees on its poorest citizens in order to fund itself. It was a wake-up call, but one organization had been in place working on these issues for five years. Thomas Harvey is one of the co-founders and the executive director of the Arch City Defenders, an organization he helped build to take on systemic injustices and defend those who couldn’t get help elsewhere.